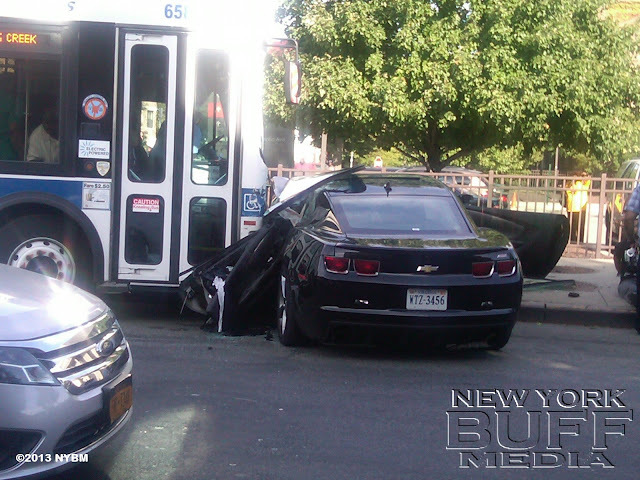 The car, a black Chevy Camaro was driving high speed, Police officers pulled over the car and noticed that the driver has a hand gun. 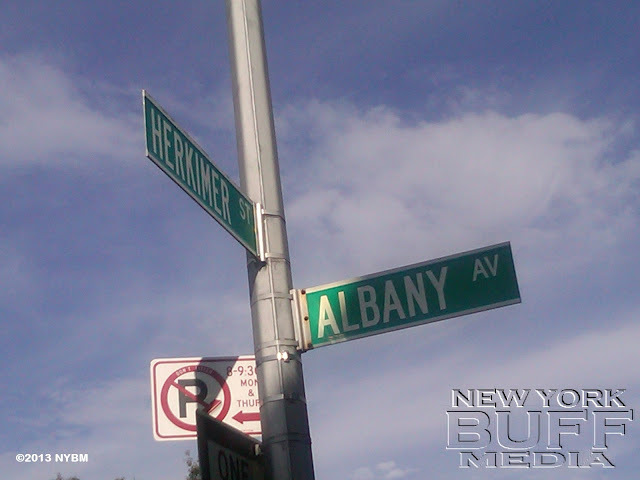 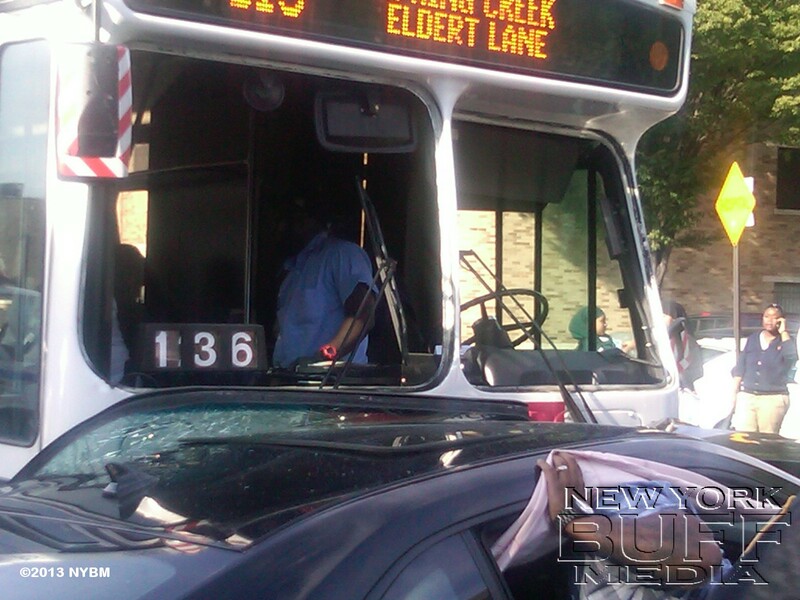 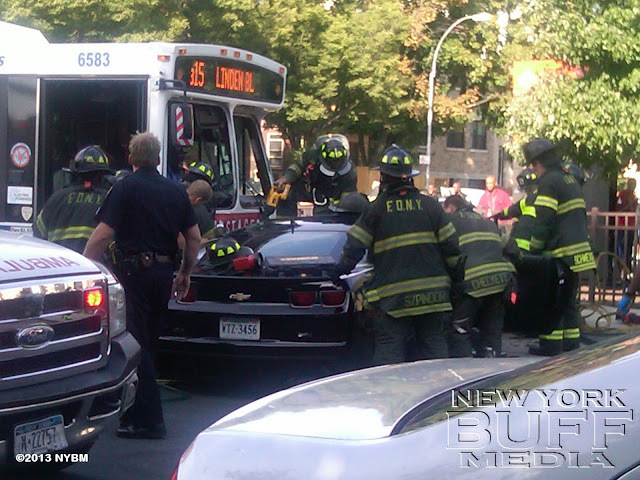 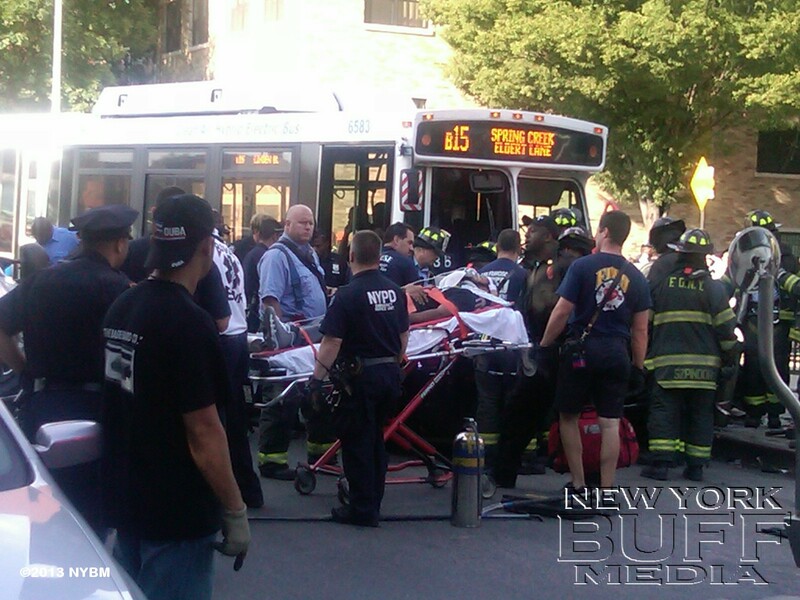 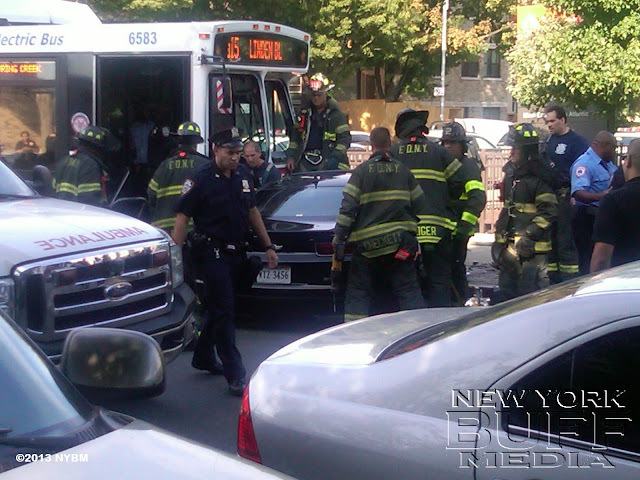 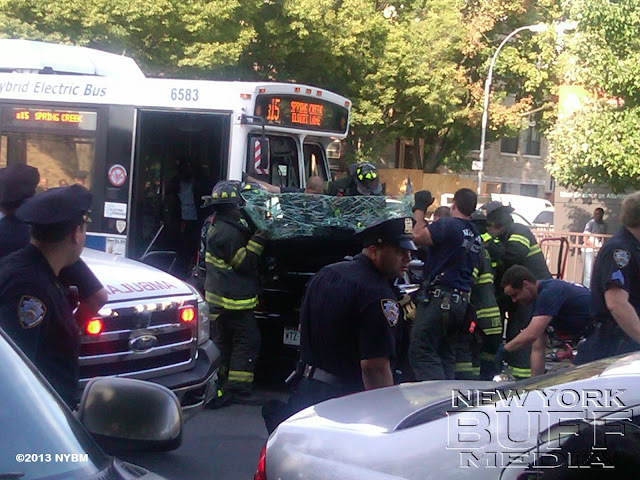 The car then escaped hit several parked cars, went thru a stop sign, and then hit the MTA bus. The 2 passengers from the car were arrested and charges are pending.